So, you’ve calculated your Birth and Year Cards (Mary will show you how if you don’t know), but what are you going to do with them next? 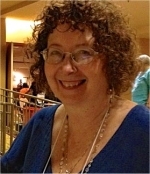 In this session, Mary K. Greer shows you how to take these archetypal forms further, to see how you can work with them in your own life and with a querent. Discover the wisdom of your Year Cards and what Destiny calls to you from your Soul Card. Make these cards come alive in your own life! Learn how to learn from them in ways unique to you. Explore the nine Constellations and the three Soul Groups that are at the heart of this system and are key to your relationship dynamics. If you want to buy the book to make sure you get the most out of Mary’s presentation, click here to buy from Book Depository which offers free postage worldwide. 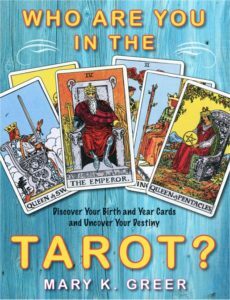 You might also like to check out a Global Spiritual Studies tarot class that complements Mary’s session – Katrina Wynne’s Sacred Journey of Your Soul – through the Major Arcana of the Tarot. You can download a video recording of the class as a Windows Media files (.wmv). It can be viewed on PCs using Windows Media Player and on Macs using the free VLC multimedia player for Mac operating systems which can be downloaded here.